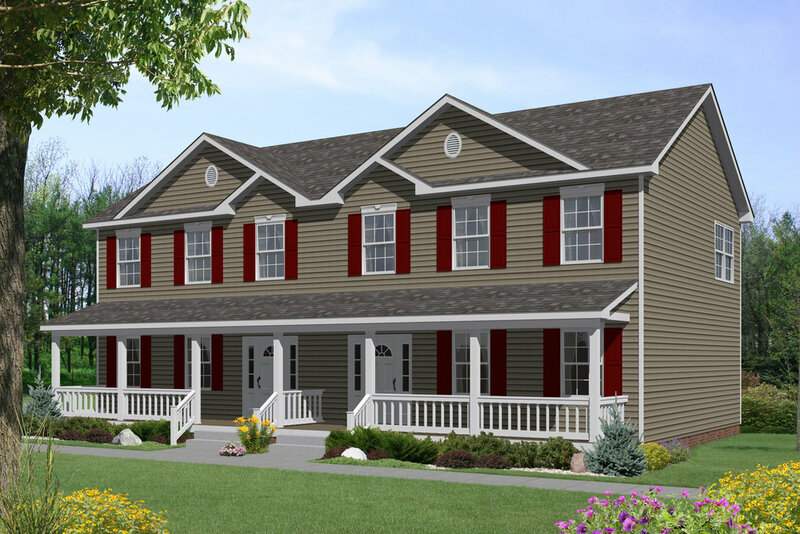 Pleasant Valley builds several different models for the multi-family market. 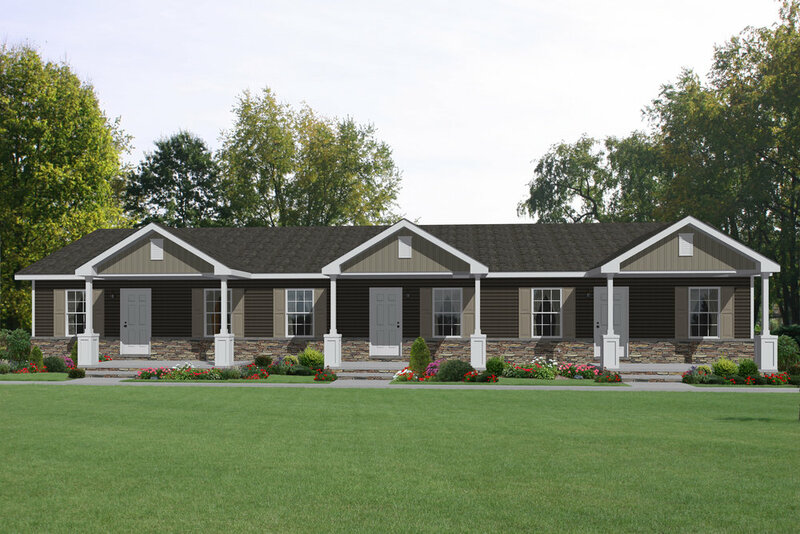 Available designs include ranch duplex models and two-story duplex models. Custom floor plans for the multi-family market are possible in some instances. NOTE: Computer-generated renderings and photographs contain optional features.